It could be that after the initial tentative steps into parenthood, most people assume that they should be able to manage. After all, they’ve got their child through the ‘tying-of-the-shoe-laces-phase’, and teachers then take over in the learning field; what more is there to do after the child hits the school years? I can totally understand this sentiment. Things are generally quite settled for the next few years – that is until puberty! Puberty, where your little ray of sunshine hits the storm! Puberty, where you are often made to feel that any hiccups in your child’s behaviour is down to your bad parenting. Well, this is simply not right and it really isn’t the case. The problem I see with the current social model is that there just isn’t the support. It is assumed that you should know everything to do with parenting because you are one. But this is where I point out to parents that ‘you didn’t even know how to breathe effectively during childbirth before you were taught by somebody else’. I mean something as simple and straightforward as breathing – so why would you have acquired an in-depth understanding of adolescent behaviour if you’ve never faced it before? That’s when I get the ‘Ah-Ha’ moments from parents who seek my support – the feelings of embarrassment and shame at the thought that It might be their fault, melt away. It is nobody’s fault and they’re not supposed to know! If you love your child, you are going to do the best you can with what you’ve got. That is the long of short of it. In terms of advice – the very best thing that you can do right now in your parenting – is to build ‘connectedness’ within your relationship. 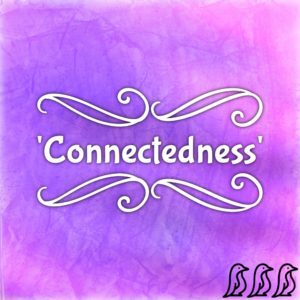 Connectedness is how well you and your child share and communicate with one another. How close you and your child are? How much you share? How much time you spend together? How deep and meaningful are the conversations you have? Connectedness is how much you are part of one another’s lives and importantly, has been shown to be key in protecting children from over thirty teen-related risks. Yes! As simple as that! Thirty teen risk-taking behaviours that your child will be tempted to engage in or will be exposed to are less likely to entice them simply through the connected relationship that you develop with your child. Ignore those people around you who tell you to ‘cut the apron strings’ and instead view your child’s tie to you as a bungee rope so that, when your child experiences anxiety, fear or danger; they spring straight back to you. If your child is young – connectedness is far easier to maintain but do look out for the times that they begin to push you away and start shutting you out. Stay alert and do not allow it to happen. It’s a gradual process but if you don’t stay vigilant during their early adolescent years, you soon won’t have a clue as to what they are up to in their spare time or what their inner thoughts are. Ensure that you maintain your position as a key player in their lives. If your child has already shut you out and you want to be closer, then again, it’s a process to reverse this. Start with more time spent in one another’s company; schedule it in if you have to – but make the time. Time is where room is given for natural conversation to develop, don’t force it. Remember, your connectedness will better protect them from most teenage related troubles so save yourself from the heartache and give yourself time now. Don’t ever underestimate the power of your relationship. If you would like new ways to develop the relationship that you have with your teen, then you are welcome to download my book ‘Create a Lifetime of Special Moments With Your Teen: Weekly Activities and Conversation Openers to Keep You Connecting’ for free with Amazon Kindle. 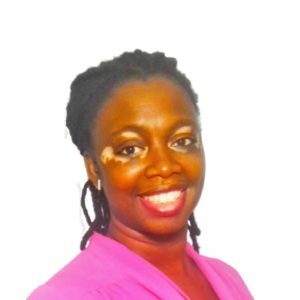 Anika Vassell is a Teen Behaviourist with over twenty years of experience and academic specialism with adolescent aged children and their families. Alongside the sale of books and courses for parents, Anika offers one-to-one mentoring for teens; coaching for parents and training in teen psychology for professionals who work with children & young people.